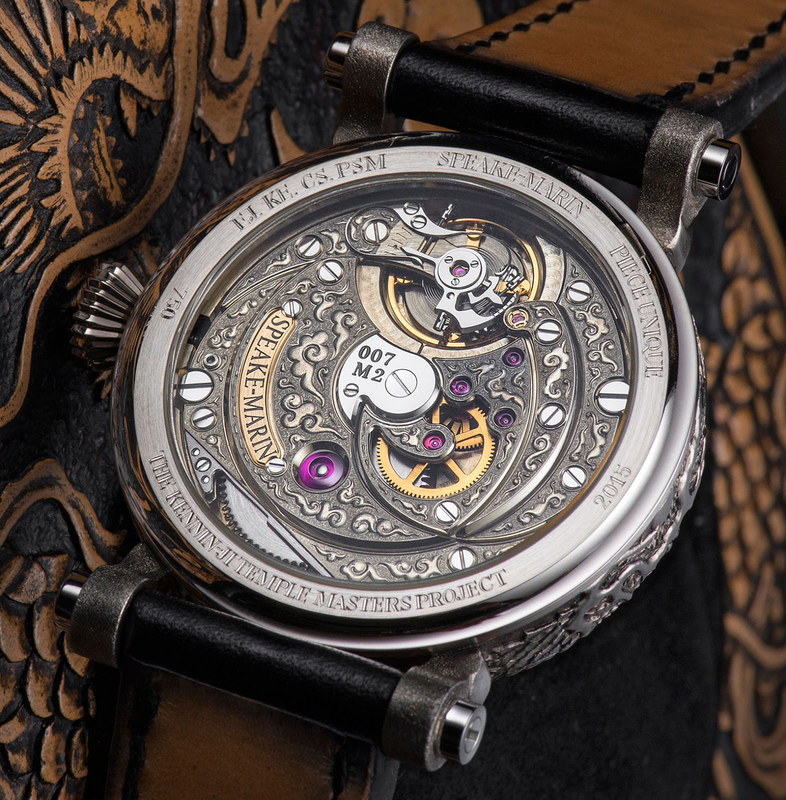 Independent watchmaker Speake-Marin collaborated with trio of artisans of different specialties to create the Kennin-Ji Temple Masters Project wristwatch. 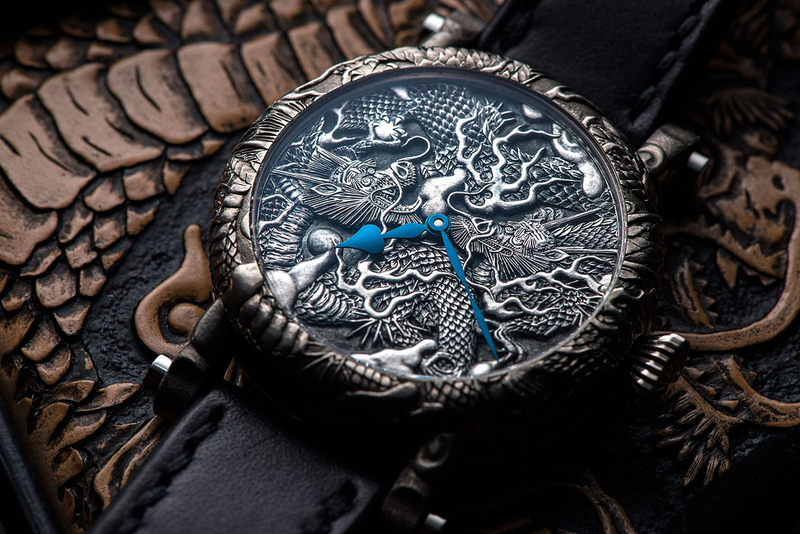 Commissioned by a collector, the timepiece is a one of a kind creation decorated with relief engraving of twin dragons, based on the ceiling mural of the Kennin-Ji temple in Kyoto. Possibly the oldest Zen temple in Kyoto, once the imperial capital of Japan during the Tokugawa Shogunate, Kennin-Ji was founded in 1202 and celebrated its 800th anniversary in 2002. On that occasion, a monumental ceiling painting measuring some 175 sq. m was commissioned for the temple. Painting by Japanese artist Koizumi Junsaku, the ceiling depicts twin dragons, a motif reproduced on the Kennin-Ji Temple Masters Project. 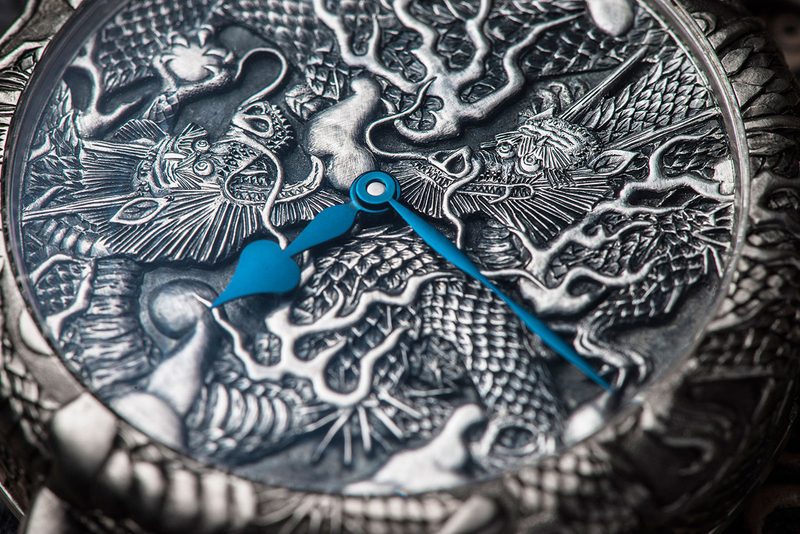 The 42mm case and dial are both white gold, with the dragon motif on the dial continuing onto the case. Even the lugs have been shaped like claws of a dragon. 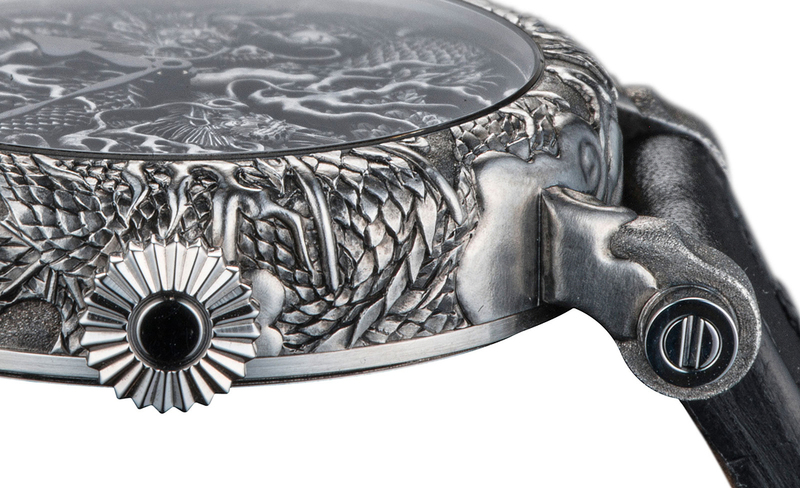 Dutch engraver Kees Engelbarts was responsible for the decoration on the case and dial, while the movement was engraved by Eddy Jaquet. 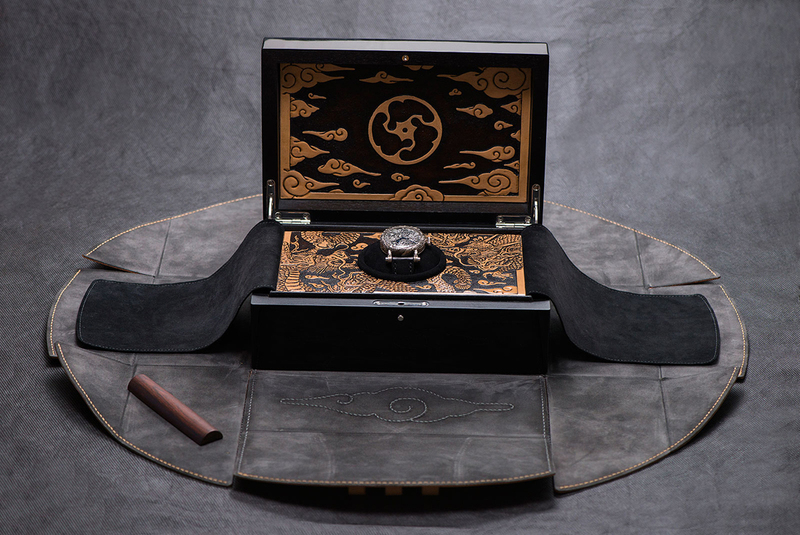 The twin dragon motif is repeated on the embossed leather of the presentation case, which was done by Swiss leatherworker Christophe Seewer. And the movement is the calibre SM2, Speake-Marin’s top of the line in-house movement that has German silver bridges. And also you can check other luxury and expensive watches: 50 Best Black Watches.